If you don’t already own a food scale, I’d highly recommend getting on prior to starting the FASTer Way to Fat Loss®. Weighing your food is much more accurate than using measuring cups and spoons and it’s so much easier too. Plus, fewer dishes! I’m all about fewer dishes to clean! This is the protein powder that I use in my shakes every day. I prefer to buy the organic one, but there is a non-organic version available as well that is a bit cheaper. 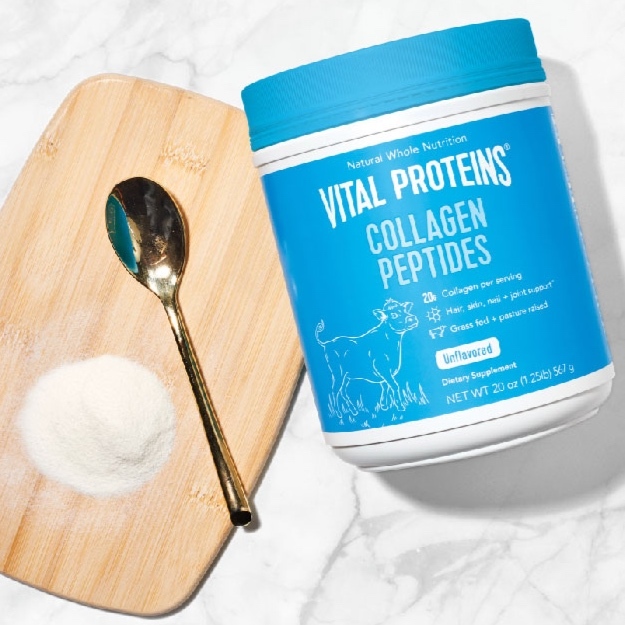 I like this one because it is a plant-based protein powder (pea protein) so it is dairy-free, gluten-free, and organic. I blend mine with almond milk, pbFit, collagen peptides, ceylon cinnamon, and ice. On regular macro days I’ll also throw in a banana. Yes that’s a cow and yes I’m a vegetarian. I know, this is NOT a vegetarian product, however, I still use it because I really struggle to hit my protein goals on low carb days. Two scoops has 18g of pure protein (no fat, no carbs) so I add two scoops to my daily shake and to my acai bowls. It has no flavor at all so it’s an easy way to add in some protein. This stuff is amazing. All the flavor of peanut butter with hardly any fat! I add PB Fit to my shakes on regular and low macro days. For those of you keeping score - that means every day, my shake contains Vega protein powder, Vital Proteins collagen peptides, ceylon cinnamon, almond milk, and PB Fit. On regular macro days I also toss in a banana. It’s a great way to boost your protein intake and give your protein shake that yummy peanut buttery flavor! These little babies are probably my most favorite food of all time. My favorite flavors are peanut butter, dark chocolate peanut butter, and almond butter. If you were to come to my house right now, you’d find a serious stash of them in our refrigerator because my husband and I go through them like crazy. They are SO, SO good. If you’re a fan of pancakes and you’ve never tried Kodiak Cakes, I’m going to need to you hop on over to Amazon right now and order some. Better yet, make a Publix or Target run so you get them sooner!! These are my favorite pancakes and they are FULL of protein!! No worries about that weird chalky flavor, these are delicious. Even my kiddos and their friends love them. Do yourself a favor and order the dark chocolate muffins too. You can thank me later. I take two teaspoons of this per day to help me relax and sleep better. Just a warning, it REALLY helps me sleep better!! I have to take it early in the day or else I struggle to get out of bed the next morning! I like the raspberry lemon flavor, it’s pretty tart though. In the FASTer Way, we recommend drinking herbal tea while you are fasting and these are three of my favorites! 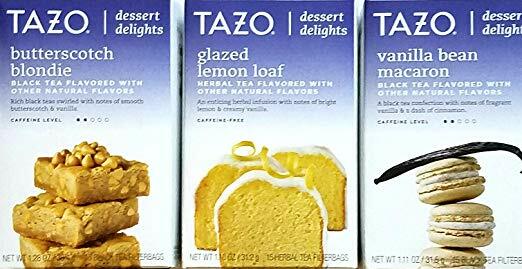 The glazed lemon loaf is the one I reach for most often. It’s amazing! Christy, the owner of Tiny Little Chef, is also a FASTer Way coach. She got me hooked on her seasoning blends. 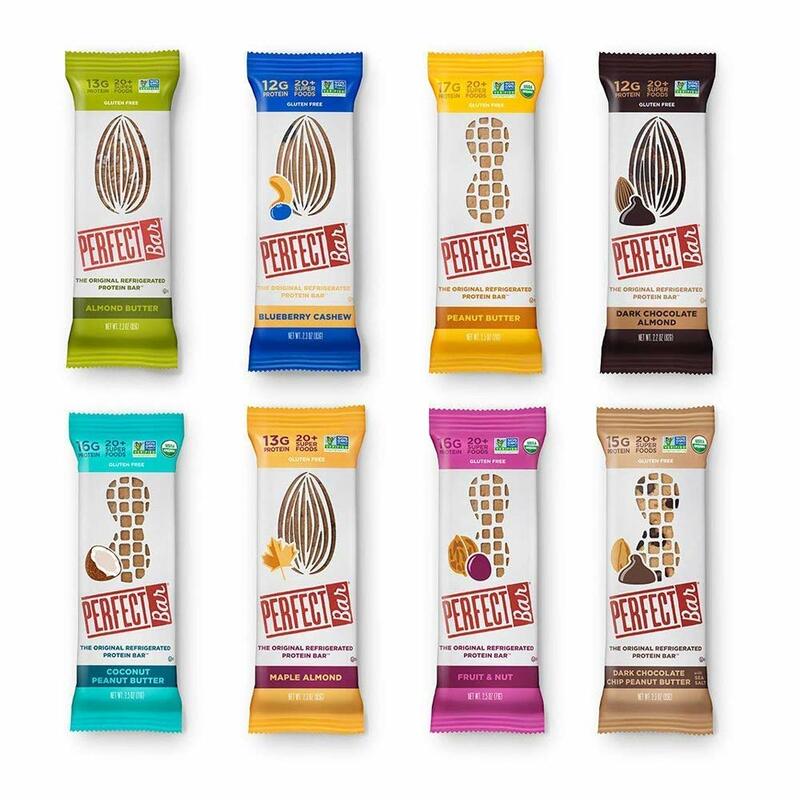 Not only are they delicious, but they’re also gluten free and contain no sugar, dairy, additives, or preservatives. Make sure you use promo code “KRISTINS” to save 20%! Many of our clients are LOVING the nutpods coffee creamers. They will not break your fast (be mindful of the serving size though!) so if you’re not a fan of black coffee, give these a shot. I prefer black coffee, but when I want something a little different I do enjoy hazelnut nutpods! While we try to stay away from artificial sweeteners, we understand that sometimes you just need a little sweetness in your life. Stevia is a natural sweetener that will not break your fast. If you need something sweet in your morning coffee, this is your new best friend. 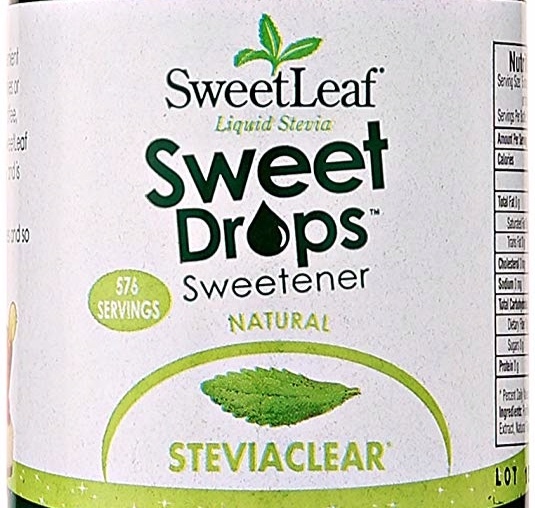 Stevia is also available in powder form, I just prefer the drops. 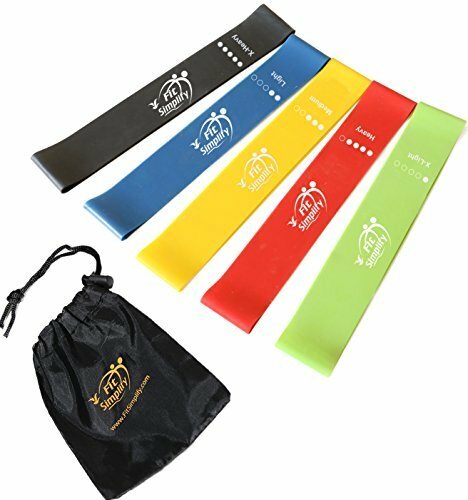 Loop resistance bands are an incredible way to add a bit of difficulty to your workouts! We use them a TON in our VIP workouts to really maximize our efforts. My favorite way to use them is to loop them around my thighs when doing squats - the extra resistance really amps up the burn! Similar to the resistance loops, these resistance bands will allow you to take your strength training workouts to the next level. They’re also really great for when you’re traveling and do not want to lug your weights around with you. These are the dumbbells that I use and love. I have them in 5lb, 10lb, 15lb, 20lb, and 25lb. They are perfect for our workouts and I love the tower to store them on to keep them up off the floor and out of the way! These come in a variety of weights and I recommend starting with one heavier than your heaviest dumbbell. These are definitely in the “nice to have” category but not necessary. 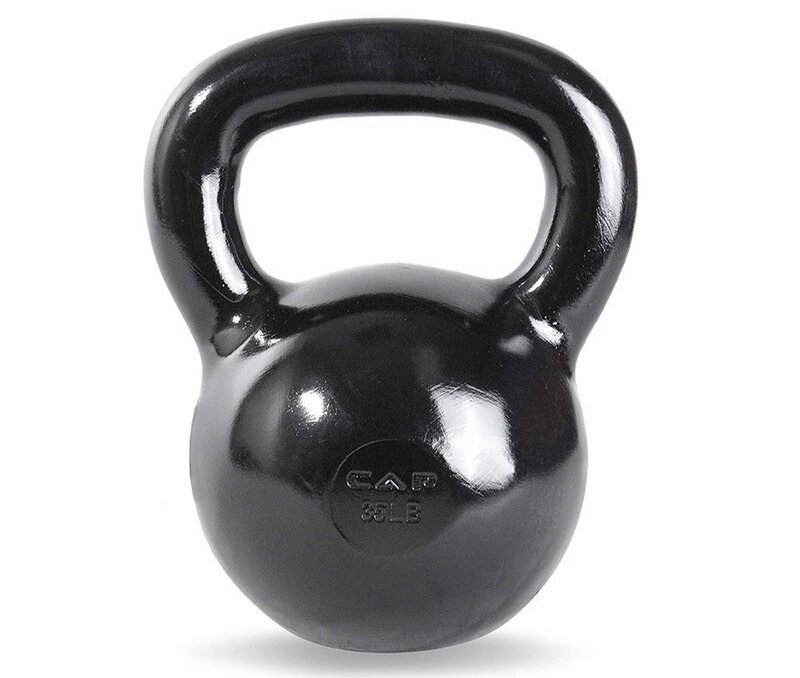 Most of the moves you do with a kettlebell can be accomplished with a dumbbell and a bit of creativity. If you suffer from muscle soreness following your FASTer Way workouts, then you just met your new best friend. I discovered foam rollers when I was marathon training and now, I don’t know how I lived without one. It’s one of those “hurts so good” feelings when you roll out your sore muscles. It helps to break up the lactic acid build up and alleviate the soreness quicker. I know that one of the pain points our clients have is a lack of meal plan.. soo now there is one! Christen, from Modern Homemade, developed a meal plan specifically for FASTer Way clients. It has six weeks of meals with the macro breakdowns for each meal!! Make sure you use promo code “faster_ks” to save $10!